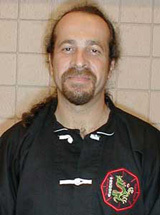 Christophe Millner (Chris) has been involved in Martial Arts for over 30 years. He started Judo lessons at age 9 and fell in love with Martial Arts. At age 15, when he was living in Barstow, California, a YMCA opened up and offered a class in Karate Kung Fu. 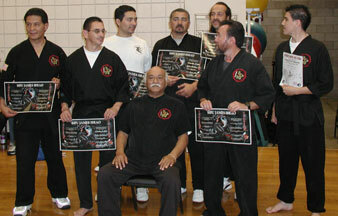 The Instructor was Henry Gutierrez who became a mentor to Chris. 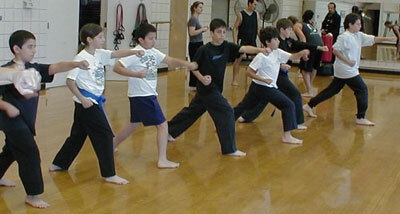 The style of this type of martial arts is a mix of Kenpo Karate, Sil Lum and Hung Gar Kung Fu. Chris was hooked! He recieved his black belt 5 years later. Chris has been teaching ever since, but continues with his own studies also. He is now learning Tai Chi with Master instructor James Ibrao. Chris now teaches at the Santa Ynez YMCA. His Martial Arts/Kung Fu classes in Santa Barbara are Wednesdays & Saturdays and are for children 5 years of age and up and their parents. 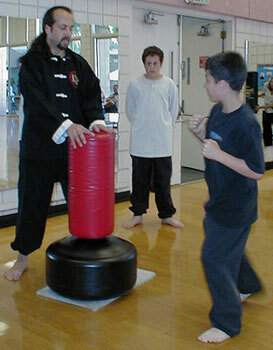 Chris teaches martial arts in Solvang on Tuesdays and Thursdays. He also teaches private lessons. Chris also teaches Tai Chi and Martial Arts to employees in the Santa Barbara, Goleta, Ventura area, helping employers get better productivity from their employees. Youth Family 7 to 12 yrs old: 4:30 to 5:30PM, and 5:30 to 6:30PM All Levels.